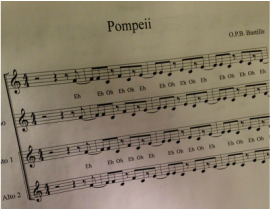 I've started an in-school A Cappella Club during club time on Fridays as well as an after school A Cappella Club. Students have an opportunity to watch stellar a cappella performance on YouTube as well as learn how to beatbox. They also learn parts to a song and have an opportunity to perform during our annual Leadership Day, where many adults come to see how the leadership program runs at our school. Our student-run class council is busy all year round. Students help plan a dance, complete charity projects and fundraisers. Students have an incredible privilege to contribute to school decor. 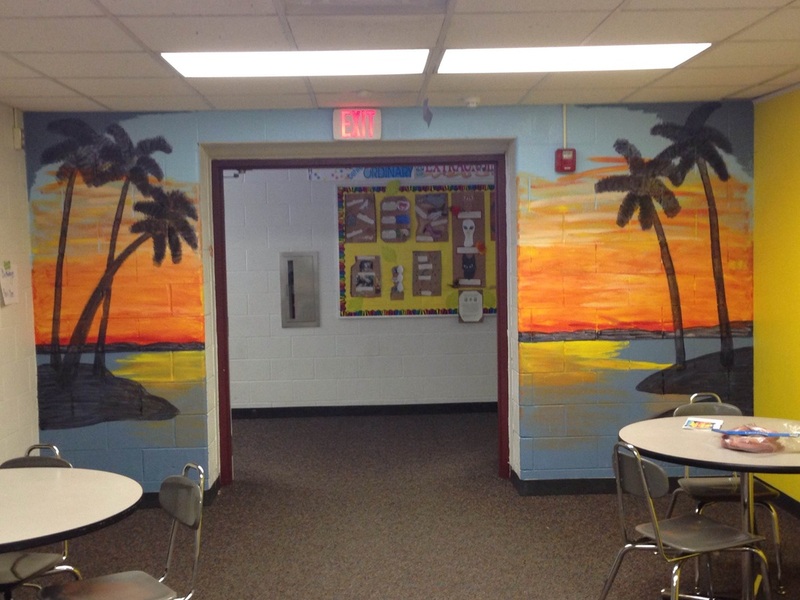 Students are often seen painting the hallways and contributing to different themed displays. Below are some examples of student projects and student-generated displays. 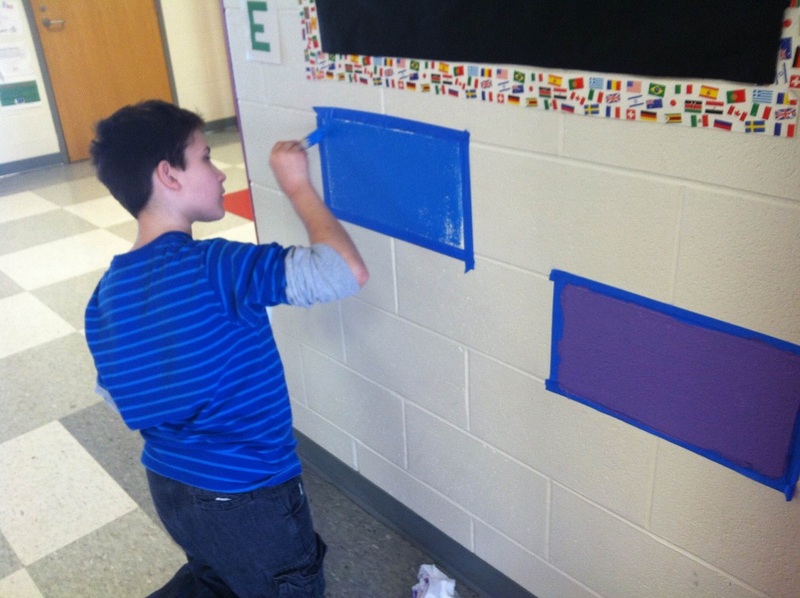 Students brightened up the hallways with blocks of color. Students created a temporary window display with motivational sayings. 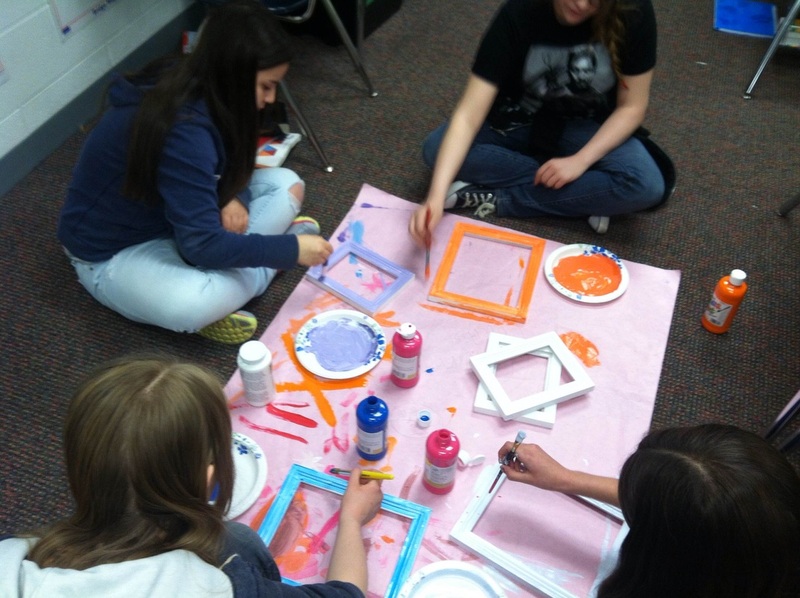 Girls are painting frames to hold inspirational quotes and pictures in the girls bathroom.